Super Strong Neodymium Magnets - Wholesale To The Public! Please Place All Orders Online. Use model # or keywords to find the product you are looking for. These magnets are great, theres a lot of force just what i w ..
Rare earth magnet neodymium is the world's strongest magnets. All magnets are not created equal! Applied Magnets offers the highest quality rare earth magnet with consistent performance at lowest price. Our strong rare earth magnet are designed & manufactured to meet stringent quality standards using the latest technology. Neodymium magnet (also known as Neo, NdFeB, NIB or super magnet) , a type of rare earth magnet, is the permanent magnet made from neodymium, iron, boron and other minor elements. Magnetized through the Thickness 0.125"
This product was added to our catalog on Tuesday 15 May, 2007. UnitConversion.org - the ultimate unit conversion resource. Applied Magnets offers the strongest magnets and neodymium magnets for sale at factory direct prices. We are a magnet wholesaler and retailer so when you buy from us you really are buying direct. Through the sales volume we have built up over the years, we can offer you the highest quality magnets at the lowest prices. Do not be fooled by our low prices on magnets and wind turbines. These are factory direct prices. We are committed to offering excellent performing, high quality strong neodymium magnets & industrial magnets, flexible magnetic materials, ceramic magnetic materials, SmCo Samarium Cobalt magnetic materials and AlNiCo magnetic materials. MAGNETS ARE NOT TOYS! FOR ADULT USE ONLY! Our magnets are not intended for use with or as a magnet set. A magnet set is defined as any aggregation of separable magnetic objects that is a consumer product intended, marketed or commonly used as a manipulative or construction item for entertainment, such as puzzle working, sculpture building, mental stimulation, or stress relief. Applied Magnets is the #1 leading wholesaler of permanent rare earth industrial magnets, ferrite ceramic magnets, magnetic assemblies, magnet tools made with neodymium rare earth magnets, effective magnetic water treatment system made with the most powerful neodymium rare earth magnets and magnetic accessories and Magnetic Levitation Science Projects. We distribute industrial neo neodymium-iron-boron NdFeB rare earth magnets, cup magnets, samarium cobalt rare earth industrial magnets SmCo, ferrite (ceramic) magnets, magnetic strips, magnet wire, Magnetic Levitation & Magnetic Levitating Train Kits and magnetic tools. Magnet Pole Detector - Identifier - [POLE-1] Hot New Item - Now In Stock! This is a great new gadget we are carrying! Works with all types of magnets! 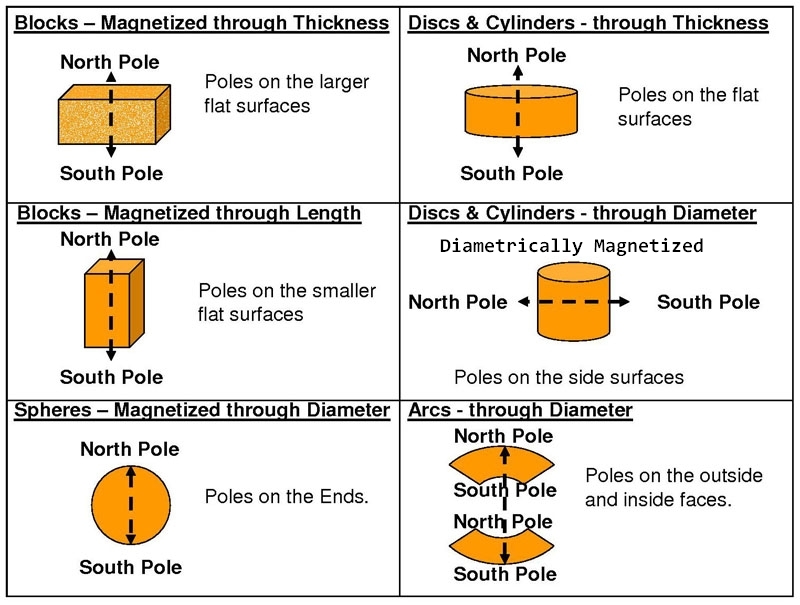 How does it identify the north and south poles of a permanent magnet? Simply press and hold the black oval button.Then, place the tip of the detector near the surface of the magnet. If it is the North Pole, the Red LED will glow. If it’s the South Pole, the Green LED will glow. And if the button is held and the unit is moved around the surface of the magnet….you can see the transition from one pole to another. This pole identifier is guaranteed to be 100% accurate. It can be used for NdFeB, SmCo, AlNiCo, Ceramic and most other magnets and refrigerator/flexible magnets. Click HERE to go to product. We are now stocking the Hydro-Soft Neodymium Magnetic Water Softener. “Hydro-Soft” magnetic water devices are easily placed over the outside of any type of plastic or copper pipe. Even a caveman can install “Hydro-Soft” water treatment devices…It’s sooo easy! Built with Most effective…Strongest rare earth neo neodymium magnets ! Nickel-copper-nickel triple layer coating for maximum corrosion resistance. A very easy do-it yourself installation project that takes very little time & with no pipe cutting! “Hydro-Soft” water softener devices will not give you that slimy feeling in the shower that you get from a salt based water softener. “Hydro-Soft” water softener device is powered by high tech…high energy shielded neo neodymium magnetic fields and the flow of the water through your pipes. Not electricity! The “Hydro-Soft” water softener devices are effective on city and well water alike. Why are “Hydro-Soft” water softener devices better than salt based water softeners? * Requires No Salt and No Ongoing Expenses. * Requires No Plumbing Modifications. * No Back Flushing & No Inconvenience. * Improves Water Flow and Pressure by Removing Scale Build-up From Inside Pipes and Appliances. * Prevents and Removes Existing Lime and Scale Build-up. * Does Not Corrode Water Heaters, Pipes, & Fixtures. * Safe for Older Homes! * Does Not Harm Our Environment or Our Fresh Water Supply. * Feel Cleaner and Fresher After Bathing. * Legal To Use In All Areas of The U.S.
* Safe For Heart Patients and Those With Hypertension. * Take Applied Magnets Water Softener Devices With You When You Move. Welcome to Applied Magnets where we sell strong magnets for less. One category of strong magnets that we have in stock is a whole line of ceramic magnets. Our ceramic magnets are high in demand and are highly versatile. These have been used in many an industry and with a high success rate. You can never go wrong with our huge assortment of ceramic magnets. From inducers, electromagnets and transformers magnets have been used in everything. We stock both ceramic blocks and rings for whatever projects you need them for. Browse our site for the most comprehensive selection of ceramic magnets on the web. Look through our picture gallery to find the product you are looking for and we will deliver it to you. Many materials have unpaired electron spins, and the majority of these materials are paramagnetic. When the spins interact with each other in such a way that the spins align spontaneously, the materials are called ferromagnetic (what is often loosely termed as "magnetic"). Due to the way their regular crystalline atomic structure causes their spins to interact, some metals are (ferro)magnetic when found in their natural states, as ores. These include iron ore (magnetite or lodestone), cobalt and nickel, as well the rare earth metals gadolinium and dysprosium (when at a very low temperature). Such naturally occurring (ferro)magnets were used in the first experiments with magnetism. Technology has since expanded the availability of magnetic materials to include various manmade products, all based, however, on naturally magnetic elements. Not only do we have a collection of ceramic magnets but we also have a large range of Neodymium Magnets as well. These magnets are very robust in relation to their size. Popular with industries and hobbyists. Neodymium magnets are used in a wide variety of applications. From hard drives to headphones to loudspeakers these magnets have seen it all. Ceramic magnets, or ferrite, are made of a sintered composite of powdered iron oxide and barium/strontium carbonate ceramic. Due to the low cost of the materials and manufacturing methods, inexpensive Ceramic magnets (or nonmagnetized ferromagnetic cores, for use in electronic component such as radio antennas, for example) of various shapes can be easily mass produced. The resulting Ceramic magnets are noncorroding, but brittle and must be treated like other ceramics. Neodymium magnets, also referred to as neodymium-iron-boron (NdFeB) magnets, have the highest magnetic field strength, but are inferior to samarium cobalt in resistance to oxidation and temperature. This type of magnet has traditionally been expensive, due to both the cost of raw materials and licensing of the patents involved. This high cost limited their use to applications where such high strengths from a compact magnet are critical. Use of protective surface treatments such as gold, nickel, zinc and tin plating and epoxy resin coating can provide corrosion protection where required. Beginning in the 1980s, NIB magnets have increasingly become less expensive. Even tiny neodymium magnets are very powerful and have important safety considerations.At Applied Magnets you will get the best possible price on these Neodymium magnets. All you have to do is just browse and choose from our huge selection and we will do the rest. Plus with shopping online you get the modern convenience of buying from your home or place of business. Nonetheless, our neodymium magnets come in many different shapes and sizes. From blocks, cubes, spheres, cylinders to arcs and rings; we here on our website offer it all. 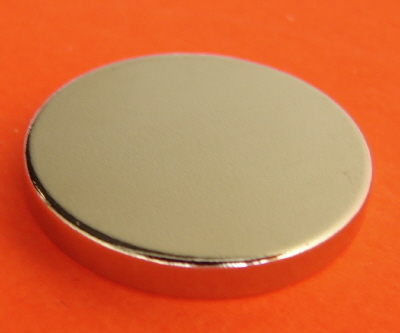 We can supply you with our neodymium magnets better then the other suppliers out there. Help us help you with your magnet needs with Neodymium Magnets and Ceramic Magnets from Magnet 4 Less. Applied Magnets retails strong N52 neodymium magnets at low wholesale prices.Rare earth magnets include hobby magnets,craft magnets,industrial magnets,powerful magnets for sale online. N52 Neodymium magnets to buy for hobby and craft projects.Applied magnets is your best source to buy Magnets. From one magnet for sale to 10000... we are your Magnet for sale headquarters.Did we mention magnet wire for sale? Did we mention eye hook magnets, eye bolt magnets and coil wire? We have all the wire you will need from Essex Wire. Not only Tools, but Tools that are magnetic. From small rare earth neodymium magnets to large rare earth industrial neodymium magnets. We are your rare earth N52 neodymium magnets headquarters. If you want industrial rare earth neodymium magnets see us. Rare earth N52 neodymium magnets are very strong. Want rare industrial earth neodymium magnets? We have all the industrial rare earth neodymium iron boron magnets you need. Did we mention industrial rare earth neodymium magnets? Our catalog has rare earth neodymium magnets. Rare earth neodymium magnets are our specialty. Rare earth neodymium is another variation of a magnet for sale. We also have rare earth neodymium iron boron magnet spheres. Also, industrial rare earth neodymium magnet for sale discs. Not to mention rare earth industrial N52 neodymium magnet blocks. These are permanent rare earth neodymium iron boron magnets. Look for our rare earth neodymium magnet for sale rings. Rare earth neodymium industrial magnets abound also. Rare earth neodymium magnets can be found in our catalog. For your home and office rare earth neodymium magnets are very useful. Our rare earth industrial magnets are great for water treatment conditioner projects. We do take special orders for rare earth neodymium iron boron industrial magnets. Use rare earth neodymium iron boron magnets along with ferrofluid in your science class projects.